In the hot season the soul needs cold drinks that refresh and satisfy at the same time, blunting hunger. 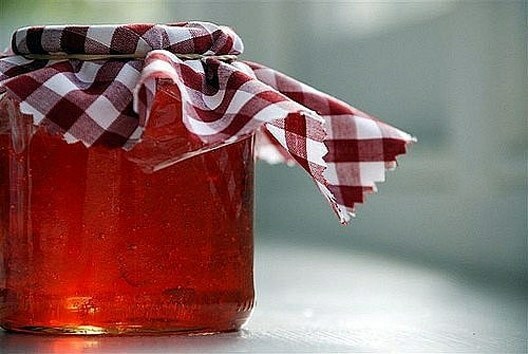 An ideal component for the preparation of cocktails is any fruit jam, which is full of vitamins – in addition, when combined with other certain ingredients it turns into a delicious and healthy drink. How to cook a thick milkshake? To prepare the cocktail with jam and ice cream you need to take 50 grams of any jam, 100 grams probirnogo or chocolate ice cream, 100 grams of milk and 2 teaspoons sugar. Ice cream cut into small pieces, put in blender and whisk, gradually adding to the mixture of jam and milk. After whisking pour cocktail in a tall glass, decorate with berries and cool. To prepare cherry milk drink you will need 3 tablespoons of cherry jam, 1 tablespoon sugar, 1 Cup cream and 1 Cup milk. Milk and cream poured into a blender and whipped for a minute, and then in the milk mixture add a tablespoon of sugar and cherry jam. The mixture is stirred for another two minutes, then poured into cups and cooled. It is also possible to prepare not a very sweet cocktail 1 liter of milk and 6 tablespoons of strawberry jam that whipped in a blender and served with a few ice cubes. To prepare milk-strawberry cocktail you will need 1 Cup of milk 3 tablespoons of raspberry jam, vanilla ice cream, 1 tablespoon sugar and a few ice cubes. Milk with ice cream and ice whipped in a blender. The raspberry jam, put into a saucepan with the sugar, bring to the boil and easy caramel coating, then wipe through a sieve and mixed with ice cream and milk. The resulting mixture is whipped in a blender for several minutes, cool and serve in tall glasses. To make nutritional protein smoothie with raspberry jam you need to take 300 milligrams non-fat milk, 2 tbsp jam, and 2 eggs. The ingredients are whipped in a mixer, the finished cocktail to cool and drink before Breakfast or instead of it. To make another helpful cocktail, you will need 175 grams of low-calorie yogurt, the flesh of one peach, 60 grams raspberry jam and ¼ tsp of vanilla essence. Components need to be whipped in a blender with a few cubes of ice for fifteen minutes, after which the cocktail is poured into a glass and optionally add a drop of sweetener. The cocktail you can add not only fresh, but slightly "paresthaesia" or frozen jam." If desired, the ready cocktail can be decorated with chocolate or raspberry ice cream.